In 1990, Dr. Jeffrey Bland created the concept of Functional Medicine as a discipline that married progress in basic medical sciences with expertise in clinical medicine to address the growing problems associated with chronic disease. In 1991, Jeffrey and Susan Bland founded and funded The Institute for Functional Medicine with the mission to both educate and provide clinical support for the implementation of Functional Medicine across disciplines within the healthcare sector. Functional Medicine was conceived by its founders as a systems-biology approach to the prevention and management of chronic disease utilizing appropriate tools, including nutrition, lifestyle, exercise, environment, structural, cognitive, emotional, and pharmaceutical therapies to meet the individual needs of the patient. Presented nine successful International Symposiums on Functional Medicine and originated the Applying Functional Medicine in Clinical Practice (AFMCP) intensive course. Achieved accreditation by the Accreditation Council for Continuing Medical Education (ACCME) for Category 1 continuing medical education credit. Authored and published three textbooks (Clinical Nutrition: A Functional Approach; Functional Medicine Approach to Detoxification; and Inflammatory Disorders). In 2001, HealthComm merged with its strategic partner, Metagenics, Inc., but did not include IFM in the merger in order to maintain the integrity of its noncommercial mission. The Blands then created the nonprofit foundation which is today’s IFM, gifting all assets and properties to the organization under the terms of a perpetual license. 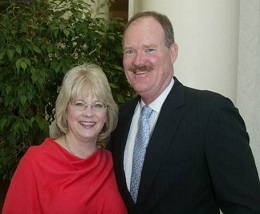 Jeffrey Bland served as chairman of the Board of IFM from 1991 until 2007, and Susan Bland served as secretary-treasurer for the same period of time. In 2007, both retired from the Board, although Dr. 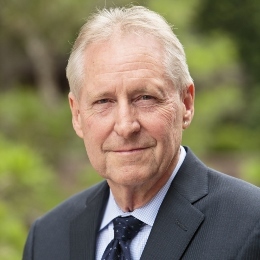 Bland has since returned to active Board membership as chairman emeritus, which allows IFM to continue to draw upon his vision and thought-leadership to help advance the Functional Medicine movement. In 2011, Jeffrey Bland received the Linus Pauling Functional Medicine Lifetime Achievement Award for his outstanding contributions. Serving as president of The Institute for Functional Medicine from 1999 to 2013, David Scott Jones, MD, guided IFM in the clinical development of Functional Medicine. Under Dr. Jones’ leadership and guidance, IFM became a freestanding, independent, nonprofit, ACCME-accredited educational institute—a change that allowed IFM to focus entirely on its educational mission, free of any commercial connections. As the research base matured in Functional Systems Medicine, Dr. Jones developed IFM’s educational program team, which began to work on a framework for sorting and applying scientific findings in clinically relevant ways. The education team studied and articulated the common principles that categorized this new field of Functional Medicine, developing models for applying the evolving Functional Systems Medicine science. During this era, the Functional Medicine Matrix Model was born, including the core concepts of antecedents, triggers, and mediators; the integration of lifestyle into evaluation and treatment; and the central concept of an interconnected web, binding all elements of body (physiology and biochemistry), mind, and spirit. His vision, leadership, perseverance, and attention to developing a clinical model that could be taught and practiced catalyzed a global movement that is transforming medical education and clinical practice for many thousands of clinicians, educators, students, and patients. In addition to a very long list of tangible contributions, Dr. Jones also urged that IFM bring a heart-centered focus not only to therapeutic partnerships between patients and clinicians, but among the many interactions with staff, faculty, advisors, thought-leaders, collaborating partners, and even adversaries. We have all been blessed and deeply moved by his presence, wisdom, counsel, and lovingkindness. Today, alongside his continued work in his Ashland Family Practice Clinic, Dr. Jones has stepped into the role of IFM’s president emeritus and serves on the IFM board of directors. Dr. Jones is the recipient of the 1997 Linus Pauling Functional Medicine Award. He is the past president of PrimeCare and of the Independent Physician Association of Southern Oregon (IPASO), where he served for seven years representing physicians in the southern Oregon area. During the last six years, he has served as a scholar at the Institute for Integrative Health in Baltimore, Maryland. His project titles include “A Coherent Architecture for 21st-Century Clinical Practice and Medical Education” and “The Healing Relationship.” He also coauthored the research paper, “The Healing Journey.” Dr. Jones continues his commitment in expanded ways to further the Functional Medicine model in primary care medicine. The Institute for Functional Medicine and IFM are marks owned by Jeffrey and Susan Bland, used under exclusive license.